If you are searching for a new design for your bathroom, consider a minimalist style bathroom design. This style is quickly becoming a popular choice with home buyers because its clean lines and uncluttered appearance are ever so modern and easy to maintain. 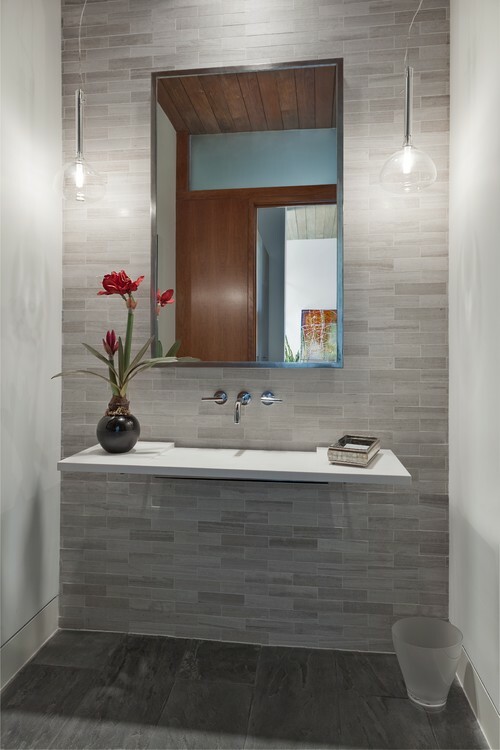 Minimalist style bathroom designs allow you to create a space that is restrained, yet expressive. Its relaxing appearance makes it possible to create stunning accents. The fixtures are understated, and soft touches such as towels and rugs stand out against the defined background. Another aspect of the design is the heavy featuring of natural elements. Steel, stone, ceramic, and wood become the stars of the show. The elements are certain to attract attention, yet they blend together in perfect harmony. This creates a soothing and always inviting ambiance within the bathroom. Are you seeking to bring a little peace into your home? If so, minimalist design is absolutely the right design for you and your family. Custom home building allows you to pick and choose unique designs and concepts to build your custom dream home. You can calculate a dream home of your own here. Forner-Lavoy offers custom home building in Kansas City, Overland Park, Lenexa, and surrounding areas. Forner-Lavoy custom home building has decades of industry experience, designing the newest styles in home building.